Scott, this movie went from Impossible, to Improbable, to Inconceivable. And I loved every minute. Our mission, should we choose to accept, is to review this movie. Let’s recap. CIA director Erika Sloane (Angela Bassett) arranges for an operative named August Walker (Henry Cavill) to join forces with Hunt to recover the plutonium. It becomes clear that there is a double-agent in their midst named John Lark, and Ethan Hunt is suspected to be Lark, especially after Hunt agrees to pose as Lark in meeting with the White Widow (Vanessa Kirby). Walker appears to have successfully convinced IMF Director Hunley (Alec Baldwin) that Hunt is Lark, but things eventually backfire for Walker. Scott, I was prepared for a real yawn-fest as the Mission Impossible franchise has devolved into a sort of Fast and Furious affair of car chases and little else. This film takes some time to pull together Hunt’s backstory and build relationships. While this is still not a cerebral challenge, I was surprised how much I cared about the characters in this incarnation. Now for the really good stuff. In my workshops at Agile Writers I tell my writers to put their main character (the hero) into the worst possible position they can, and then make it worse. Apparently writer/director Christopher McQuarrie understands this because… oh. my. god. Ethan Hunt really lives that advice. In the climactic scene (we do have a SPOILER WARNING above) Hunt helicopter-chases after bad guy Walker while a timer counts down 15 minutes until a pair of nuclear bombs go off that will kill 90% of humanity. So… the stakes are high. Hunt first tries to crash his helicopter into Walker’s. Then, when both copters crash into the Andes, Hunt is trying to get out of the copter when Walker’s copter rolls down the mountain. So – you’re sure Hunt is going to get out – but he doesn’t. The two copters plummet down a tunnel that empties onto a cliff. Not enough? Both copters go over the edge held on by a single cable. Both men are dangling by a thread and they duke it out when Walker’s copter falls to its fiery demise. You get the idea. The choreography of this bad-to-worse-to-worst climax is so amazing as to be hilarious. But not in a “it’s so ridiculous” way, but in a “how can it possibly get worse” way – and then it does. I loved every minute. Greg, I agree. There’s no doubt Tom Cruise earned his paycheck with this film. His starpower is imprinted all over this latest brilliant installment of Mission: Impossible, a movie that sets a new standard for all future action films. Director Christopher McQuarrie deserves great kudos for raising the bar on how action scenes are done involving moving vehicles and flying fists. But Fallout’s excellence also lies in its storytelling, with the integrity of our hero Ethan Hunt once again questioned and once again corroborated. The film centers on Hunt’s ability to do whatever it takes to accomplish his team’s mission and maintain his good name. In our Reel Heroes Books, Greg, we’ve discussed the “great eight” traits of heroes: smart, strong, reliable, resilient, caring, inspiring, charismatic, and selfless. Ethan Hunt possesses all of these qualities, no doubt, but what Mission: Impossible has always done is showcase the heroic traits of cunning and intelligence. Hunt has to outsmart the bad guys, not just out-muscle them. The original Mission: Impossible television series never underestimated viewers’ intelligence, and neither does this film series. It’s also refreshing to see a movie franchise that improves with each installment rather than declines. Is Fallout a perfect movie? No. Scenes of violence that should have shredded Cruise’s face instead leave him nearly unmarked. Scenes of superhuman strength and speed suggest that Cruise should be wearing a Superman cape. If we can overlook these obvious liberties with “truthiness”, then we’re left with a great film that portrays sublime heroism. I’m getting to the point where I’m willing to suspend a tremendous amount of disbelief in the movies. My reasoning is this: If I can watch (and enjoy) the super-abundance of superhero movies with freakish looking beings possessing super-unrealistic superpowers, then why can’t I overlook Tom Cruise’s face remaining pretty after being hit with steel beams? As an aside – did Tom Cruise stand on a box for this entire film? Because… he’s like five-foot-six and Henry Cavill is six-foot-one. Yet in every scene Cruise looks on-par with his partner. I’m just sayin’. While I still pine for the days of the original Mission Impossible which was a more serious spy adventure, I think Fallout is the best of the franchise since then. I enjoyed it not so much for the story as for the increasingly high stakes. I literally laughed out loud all through the climax because I so enjoyed watching Hunt fall deeper and deeper into an Impossible situation. 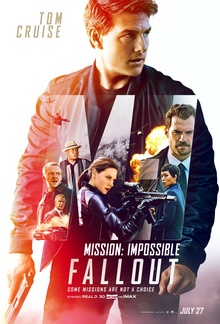 I give Mission Impossible: Fallout 4 out of 5 Reels for a simply enjoyable experience. Tom Cruise has carefully crafted Ethan Hunt into a proper hero. In his “save the cat” moment, Hunt demonstrates uncommon loyalty when he saves his friend in exchange for the success of his mission. Loyalty becomes the theme of this film as everyone around Hunt takes extreme risks knowing that they can count on Hunt because he will always risk his success over their safety. I give Ethan Hunt 4 out of 5 Heroes. There’s an abundance of archetypes here. The White Widow represents the FEMME FATALE, LOYALTY among Hunt’s team members, and the DOUBLE AGENT in Henry Cavill’s Walker. It’s all familiar territory – but isn’t that what archetypes are for? I give them 3 Arcs out of 5. Mission: Impossible – Fallout is pretty much the perfect action hero movie. Tom Cruise has always earned my respect as an actor, but here he’s on a mission to raise the bar in ways I didn’t think were possible. His character, Ethan Hunt, has also developed an endearing softness to his character that elevates him beyond the classic action hero. Hunt is now apologizing to people and in general showing a heart that makes us root even harder for him and even more against his enemies. I don’t see how this film could be improved, and as such I give it the full 5 Reels out of 5. Ethan Hunt as a hero is as good as it gets. The remarkable hallmark signature of Tom Cruise’s acting is his insistence on doing most of his own stunts. 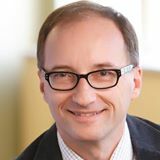 For a man in his mid-50s — or for any age man for that matter – he does some acrobatic and dangerous things that have me admiring his integrity and courage but also questioning his good judgment. Cruise broke some bones, literally, during the filming of Fallout. He and Ethan Hunt truly achieve rarified air as heroes. I give Hunt 4 Hero points out of 5. With regard to archetypes, there are the usual archetypal characters that one would (and should) encounter in spy movies. There is the spy, of course. There is also the rogue good guy, the double agent, the femme-fatale, and the comedian-turned-serious-actor in Alec Baldwin. (Ha!) I award the archetypes a solid 3 Arcs out of 5. By Greg Smith in 2018, 4 Archetypes, 4 Heroes, 4 Reels, Action, Adventure, Thriller on August 13, 2018 . I also really liked it; it’s my personal favorite from the series.